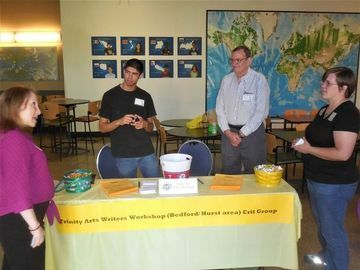 Trinity Arts Writers Workshop (TAWW) is a group of writers/authors who want to grow and develop in our craft, build and encourage each other on the journey, and polish our manuscripts until they are ready to shine and be published! All genres, including nonfiction, screenplays and poetry as well as short stories, novels, and creative nonfiction, are welcome. Each active member is allotted 20 minutes for the opportunity to read from their own original work and receive valuable feedback and critique on everything from formatting and punctuation to character development, plot holes and tropes. TAWW is especially supportive of new and emergent writers. Dues are $60 annually (prorated for new members who join throughout the calendar year) and our minimum age requirement is 18 years of age. 2,419 Hikers, Cyclists, Kayakers, etc.